Today Sally Egland, co-founder of Abby’s Closet, stopped by to receive their Cash for the Cause! We are honored to be a part of the impact they make on young ladies by providing free prom dresses. 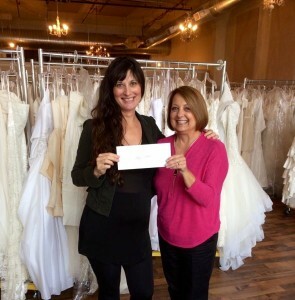 Brides for a Cause gifted $5,000 to support their cause.